It’s the most pumpkin-y time of the year, and in case you haven’t overdosed on pumpkin spice everything, this chocolate bar does not disappoint. I found it at a Stonewall kitchen store in Newburryport, MA. The milk chocolate is smooth and the spice is pronounced and a nice compliment to the chocolate. Stonewall Kitchen is known for all sorts of jams, sauces and mixes that make your kitchen smell as if you are a wonderful cook and baker. 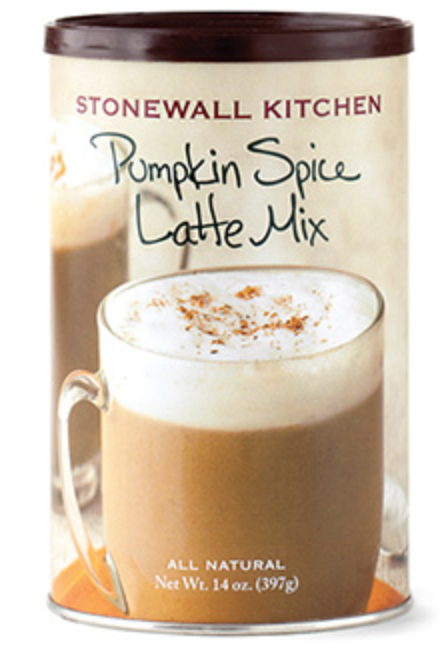 In addition to the chocolate bar I was drawn to the Pumpkin Spice Latte mix. You mix it with warm milk for a delicious start to the day and I added a bit of extra coffee to lessen the sweetness. It makes quite a few cups and is on sale for about $10.50 which is the price of 2 large pumpkin spice lattes at the coffee store. Check out their website for more goodies. I love their packaging and foods. Who wouldn’t love to get a hostess gift of something from Stonewall? Hint, this means me. 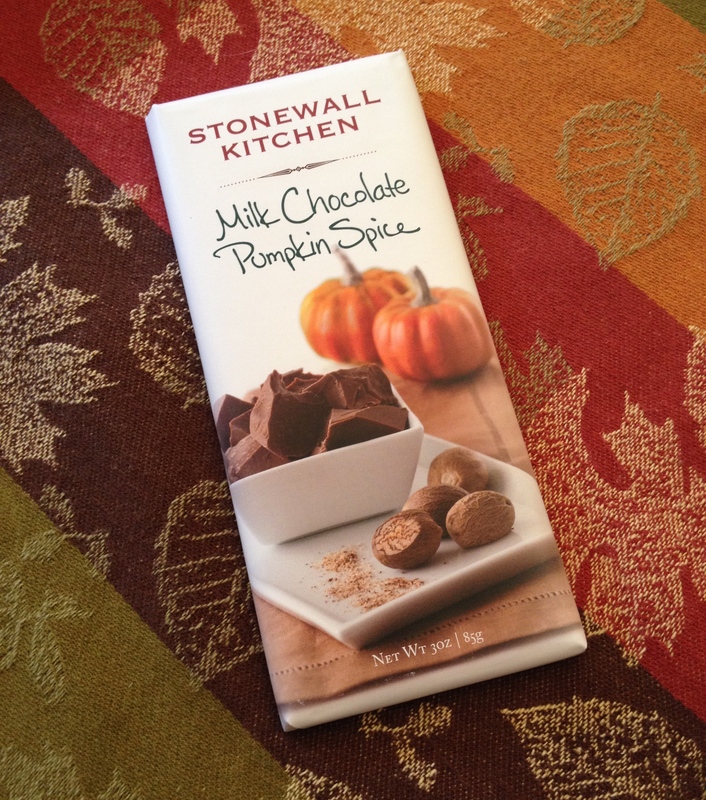 Posted in Halloween, Milk chocolate, pumpkin, sweet makers, travels and tagged Pumpkin Spice Latte, Stonewall kitchen. Bookmark the permalink. I'm a crazy, candy-infatuated, blogger who s so happy that you stopped by. This place is dedicated to all of us who always end up in the candy aisle. I'm totally impartial and answer only to my taste buds. I write about all things sweet from candy to baking to ice cream and beyond. Let me know your favorites. Two great tastes that taste great together…. Another day, and thankfully, another candy shop….